VIOLA is a mystery of romantic entanglements and intrigue among a troupe of young actors performing Shakespeare’s TWELFTH NIGHT in a small Buenos Aires theater. Cecilia is a young actress who spends her days rehearsing. Viola, meanwhile, spends her time on a bike delivering pirated DVDs throughout the city. 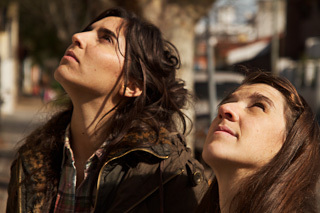 The film tells the story of a single day among the youth of Buenos Aires; Cecilia and Viola’s stories are brought together by a coup de theatre which transforms their lives. VIOLA is a film of plot without prejudices, presenting a world full of verse, fiction and play where mysteries are only seldom solved and love flows through all. This lyrical film screened at Berlinale and the Toronto International Film Festival, winning the award for Best Feature Film at Cinema Tropical at the beginning of this year. 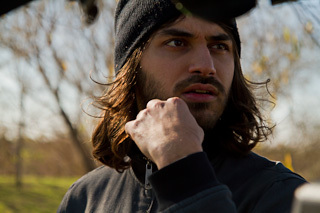 Matías Piñeiro was born in Buenos Aires in 1982. In 2011, he received the Radcliffe Institute Fellowship from Harvard for his film SARMIENTO, TRANSLATOR. He currently lives in New York under a NYU scholarship in Creative Writing, developing the third installment of his Shakespearean Project, of which his films ROSALINDA and VIOLA are part. It is entitled THE PRINCESS OF FRANCE and began shooting in August of 2013.